The vision for The Cool Café is to create a supportive and welcoming hub for the youth of Livingston. 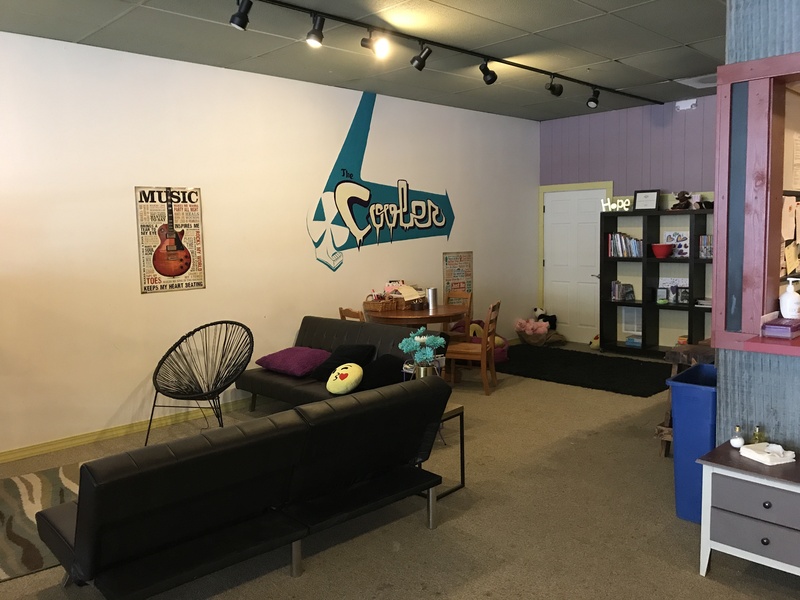 The Cool Café will be a safe place and a positive atmosphere for them to spend time, build community, grow, develop, and be empowered to succeed. There will be nutritious food available: an important aspect of The Cool Café as many children in Livingston frequently go without food. 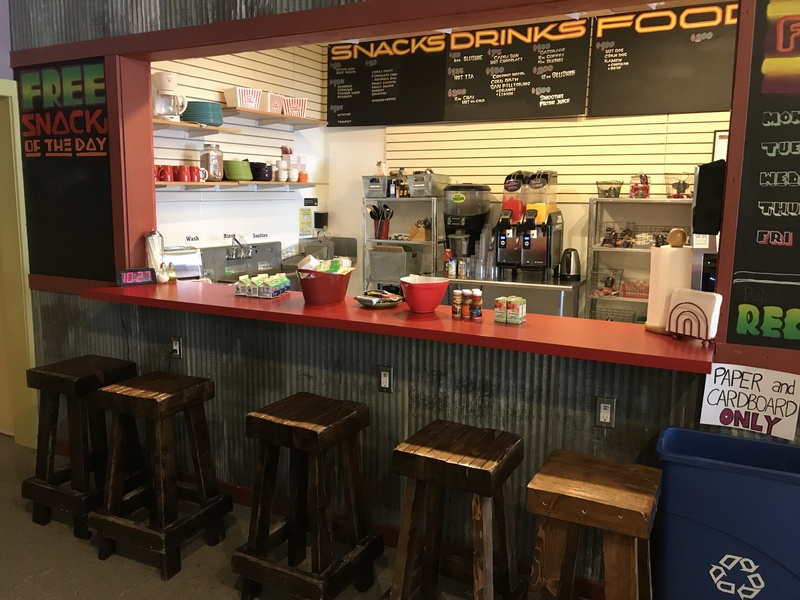 The Cool Café will serve a range of healthy and affordable snacks in a fun and comfortable atmosphere, and an option for a free snack and meal that changes daily will be offered for participants in the after-school program. To view the food menu, click here. To access The Cool Café liability waiver, click here. Our younger students will be able to access The Cool Café after school and during its weekend hours. The Cool Café can be their first stop after school before they participate in our other programming, including: mentoring in our after-school program, academic support and expanded athletic recreational opportunities. Additionally, yoga, fitness and wellness promotion classes will be held in the Café at no charge to participants. The Cool Café will also host a number of events for children and families, including a regular in-house speaker and artist series. The speakers and artists will often be Livingston locals, further connecting individual young people with adults in their community. The board also plans to include other presenters that also have something to offer to our youth, showing the range of future options that await them: awakening imaginations, broadening perspectives. There will also be weekend and summer special events planned, with input from our young patrons. The Cool Café will also offer monthly family nights in which families can attend together and work on strengthening the family bond through games and other activities. In order for studnts to have a place to go on days off from school, The Cool Café will be offering supervised PIR days at The Cool Café for a price of $25. This will include snacks and a meal with the café will be open at 9 am. This is a way for students to continue to connect with one another and the community on a day that they would otherwise be wandering the streets, sleeping all day, or trying to come up with something else to do on their day off. The Cool Café offers a safe and comfortable environment for the students to spend this day without parents needing to worry about where their child is or what they are doing. In addition to PIR days, The Cool Café will also host Blue Fridays on the weeks that the high school students do not have school on Friday. Included in Blue Fridays is a free snack and a meal as well as different activities that students can participate in such as: community enrichment, suicide prevention training, peer discussions, and various projects. Blue Fridays will be free and open to all high school students. Park High School students will be able to enjoy lunches at The Cool Café- a lunch which some of them will learn to provide as career interns. The students will be guided in setting up the café, budgeting, managing inventory, running a kitchen, and all facets of the business side of the café. With their successes, they can achieve the next goal of matching them with local professionals who can continue to mentor them and offer future employment. The Cooler is an addition to The Cool Café that is available for students from 8th grade to their senior year of high school. This is a space for older students to spend time with friends, complete homework, interact through games and activities, and learn about career and internship opportunities. The rules and expectations are the same as The Cool Café, and those spending time in The Cooler will be expected to follow these and model these expectations for the younger students. Students will have access to the same free snack and meal of the day that is available to those in The Cool Café.